After 33 years on faculty, Kay Teschke is now Professor Emeritus. 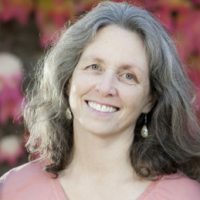 Her field of research for 25 years was occupational and environmental health, focussing on exposure assessment for epidemiological studies and determinants of exposure modeling, including studies of Parkinson’s disease, back injuries in heavy industry, various cancers, respiratory diseases, and gastrointestinal illnesses. She is delighted to have joined the Board of Directors of WorkSafeBC in 2017 as a post-retirement reconnection to the occupational health world. In 2004, she initiated the Cycling in Cities program of research to investigate route infrastructure that encourages or discourages bicycling and increases or decreases risks of cycling injuries. This continues to be a post-retirement area of policy work and some research including participation in the OECD International Transport Forum Roundtable on Cycling Safety, two BC Road Safety Strategy Working Committees (Safe Roads and Communities, Research and Data), and the BC Road Safety Law Reform Group.